Having finished the Old Testament Minor Prophets for my daily Scripture intake, I have been wondering what to read next. 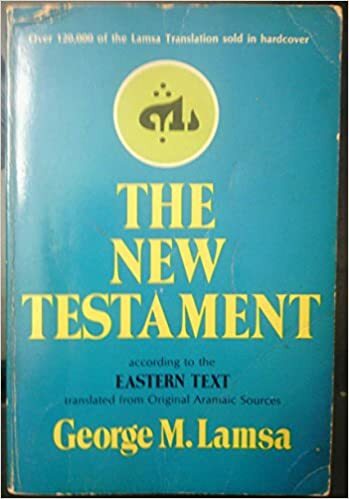 A wonderful fellow, part of the Upper Wisconsin Remnant, gave me The New Testament: According to the Eastern Text, translated from the Original Aramaic Sources. George Lamsa wrote this book and a number of others based on ancient texts that he translates into English. In this translation of the New Testament, Lamsa translates the Peshitta, the Bible of the Church of the East into English. According to reviews, Lamsa’s translation of the Peshitta does not include many elements of the King James Bible as it is based on a much older Aramaic Bible, something like this. I am figuring this will bring great joy to me as I read these older Scriptures. Are you willing to stretch your mind?